Let your inner Francophile run free! 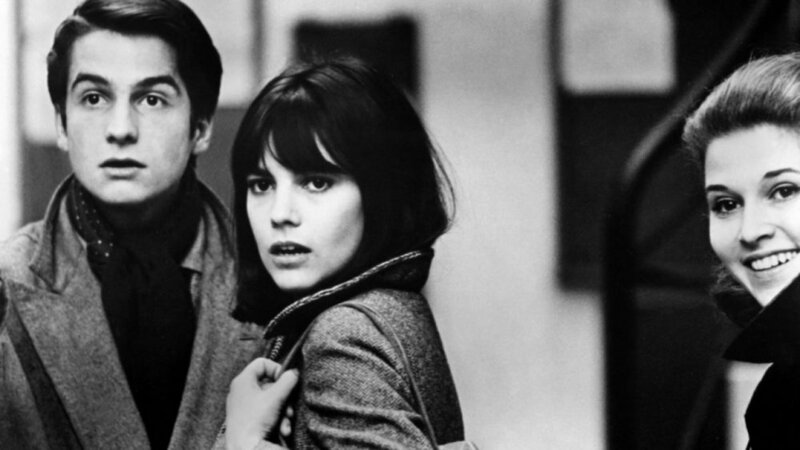 Masculin Féminin is a notable film within Godard's 1960s period of filmmaking and is considered by critics as representative of 1960s France and Paris. The film contains references to various pop culture icons and political figures of the time, such as Charles de Gaulle, André Malraux, James Bond, and Bob Dylan, and follows Godard's non-linear filmmaking techniques and narratives. At times the main story is interrupted by various sequences and sub-plots, including a scene paraphrased from LeRoi Jones’ Dutchman. Arguably the most famous quotation from the film is "This film could be called The Children of Marx and Coca-Cola", which is actually an intertitle between chapters. F Night is our way of connecting the community over free feminist-ish films, great drinks, and the occasional breakfast sandwich. Come to critique, come to drink wine, come to make friends, whatever! F Night is always free, and first come first served, but we encourage you to get there early and get a drink from the wonderful staff at Colony Club. Hosted by The Lemon Collective DC & Kimberly Pendleton, a Women's Studies professor & Women's Empowerment Coach who hosts retreats, workshops & F night! Read more at www.kimberlypendleton.com & feel free to request movies for F Night by emailing info@kimberlypendleton.com.